Whether your passion is business, art, politics, agriculture, or language, we can build a program tailored to your needs. 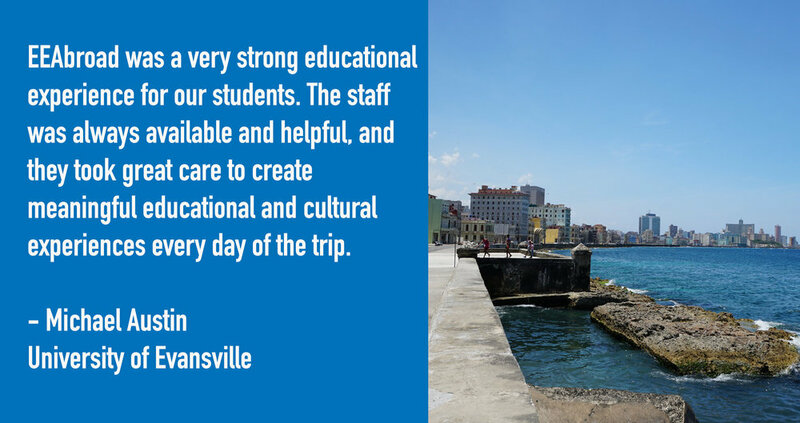 Our programs combine rigorous academics with authentic cultural experiences that bring learning to life. Our incredible network of partners gives us unprecedented access across the island. By working with the best experts, organizations, and institutions, we create extraordinary learning experiences for every client, every time. 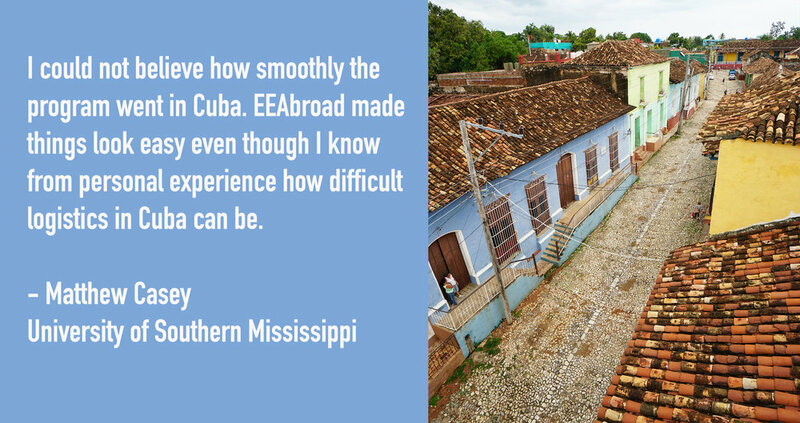 EEAbroad leaders have worked with hundreds of institutions and exposed thousands of students to the magic of Cuba. 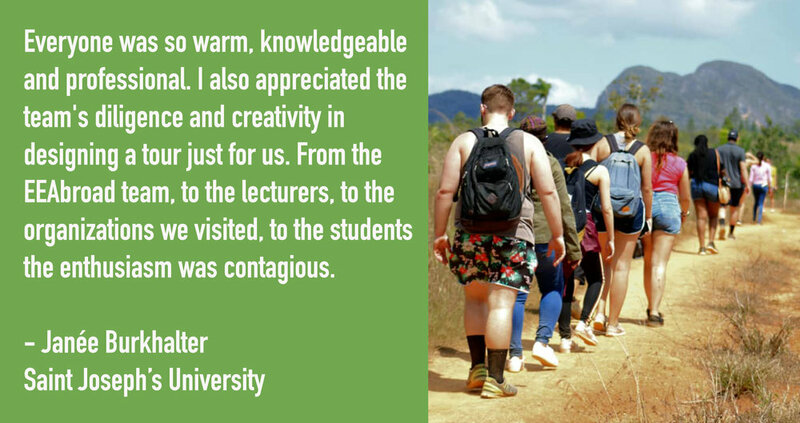 Look through a few of EEAbroad's most popular faculty-led programming samples. We can help you design a program in any academic field. What is included in an EEAbroad program? 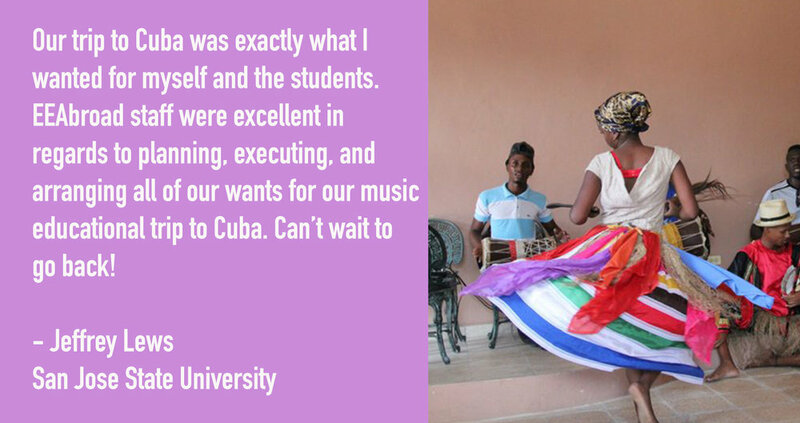 Learn why you should choose EEAbroad to design your academic program in Cuba. Build your own custom program with just six easy steps. Are you ready to create your own program? Have ideas? Questions? Just exploring possibilities? No problem. Wherever you are in the program planning process, we’re happy to chat. Simply complete the form below, and we’ll be in touch as soon as possible! Let us know if you have specific goals, objectives, or any other notes for your program.